Your participant's first live impression of you comes the moment she enters the room. Our solutions are designed to make sure your guest is able to get checked in before she has a chance to put down her briefcase. Set up a self-registration station, or several of them. Perform onsite badge printing with the data synched to your platform for analytics. 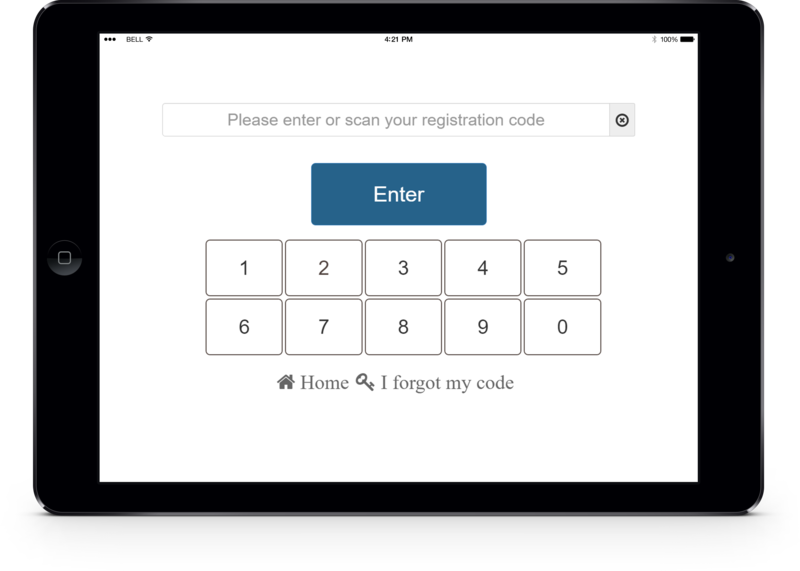 Scrap lines altogether by registering guests with a mobile device while roaming the reception area or a meet and greet function. Work offline without an internet connection if you have to. Handle different participants: VIPs, presenters, booth operators, guests who made partial payment, guests who need to make full payment, recipients of discounts or coupons. Once they register online, your attendees will receive an invite which they can either print, or store on their mobile device. They will also be given an ID. This gives event organizers the ability to set up a self-registration desk where their guests simply scan in their invite, or enter in the ID and the computer will issue them a badge. If they need to make further payment, it can be done on the spot. If a guest does not know his registration code, the self-registration system can send his password to his mobile device or by email right away. To speed things up even further, multiple event self-registration desks can be set up. Who Says You Even Need a Line? You can also set up a manned desk with event representatives to process the paperwork in person. If the internet is sluggish, or not working at all, our solutions include offline capability so you can keep the line moving. Our platform is synched with the major payment processing channels so you can accommodate anyone who hasn't made full payment, or walked in the door without even signing up. Our apps are made for touch screens, making the process move even faster. Getting set up is quick, and the apps are easy to use. Why even have to have a line in the first place? Direct your guests to the reception area for their "meet and greet," and, using a mobile device, circulate among the crowd and process them by remote while they enjoy their wine and hors d'oeuvres. All stations communicate with our cloud server so you are synchronized with your data at all times. You can track what each participant does in real time by clicking their badges as they enter each event. Receive live notifications of important guest's arrivals and gain insightful analytics. The badges can track general attendance, along with the presentations each guest attended, how much time they spend in each presentation, which types of presentations they saw, what they decided to miss, and more. By developing a good EAR, or Event Analytics Report, you will discover how to follow up with your leads. What materials to email them during and after the event. Who to get them in contact with, and what opportunities they might like best for doing business with you. This data lets you know how to enhance the value of your events going forward, providing an even better experience the next time. To the speakers, presenters, or booth operators who may have only a few hours, a 15- minute line at check in becomes a real expense. It means every prospect has less time to see why they have to offer, and less of a chance to see them at all. For everyone it means wasted networking. It can translate into a missed meeting, a wasted opportunity. Our application aims to move your participants through the front door quickly because we know that at an event, time is money. A quick check in converts into added ROI for the event planner, event sponsors, exhibitors, attendees, and everyone else.